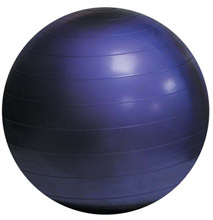 Improve balance and stability with this gymball. Help increase concentration and focus for those who need to wiggle in their seats. Weight capacity of 250 kg.